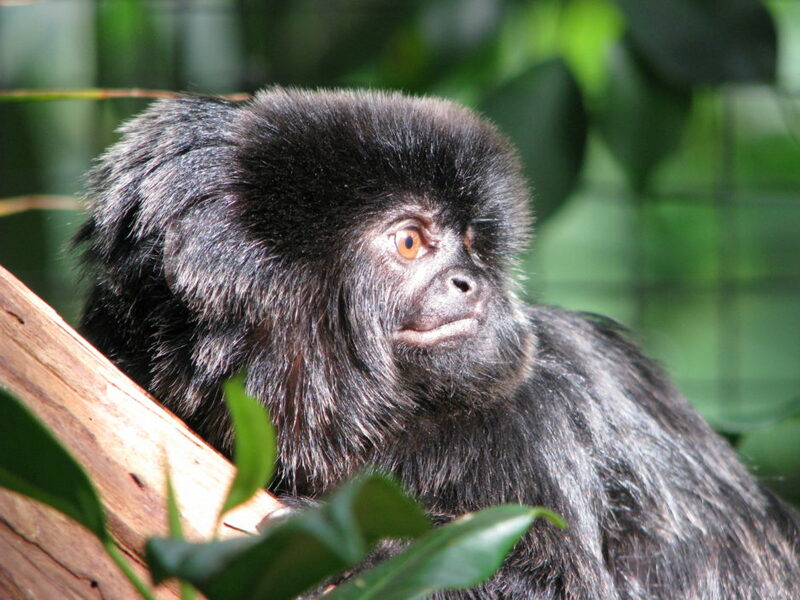 Goeldi’s monkeys live in family groups of six to eight in South American rainforests. The parents and siblings keep close, rarely moving more than 15 metres apart, whilst older siblings help their parents to care for new babies. They spend most of their time foraging for food no more than 5 metres off the forest floor. Goeldi’s are capable of jumping up to four metres from one branch to another. This is the equivalent of a person jumping from one end of a tennis court to another! Wild populations of Goeldi’s have become fragmented and separated over large distances due to the rarity of their preferred habitat. This means that local populations are vulnerable to extinction due to habitat loss, most commonly from logging or agriculture. Very few parts of their range are protected areas, and as they become rarer demand increases on the black market pet trade. Goeldi’s are classed as a vulnerable species, with numbers expected to drop by 30% over the next three generations.